Sliding tambour doors allows easy access without doors being swung open. Available in two door colours. 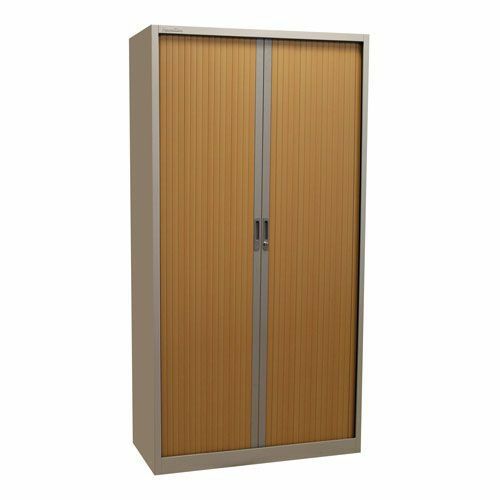 Tall grey cupboard with internal shelves for safe and secure storage, suitable for offices and schools.